Mitt Romney is nothing if not hilarious, right? So what could possibly go wrong when he goes on a late night comedy show? Ohhh, everything. 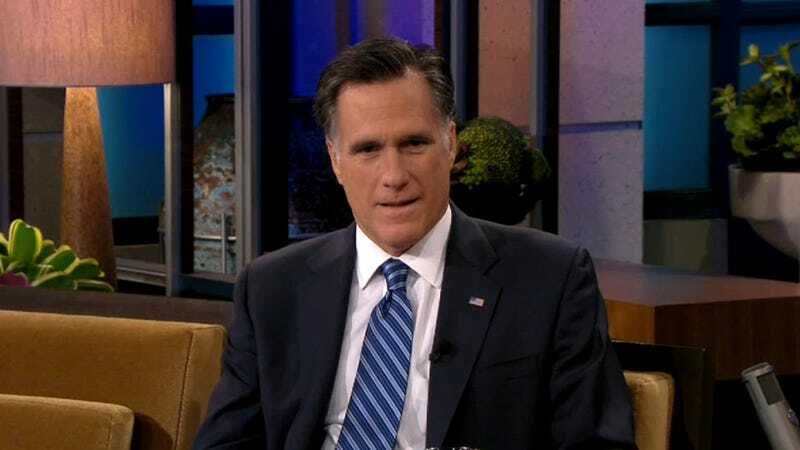 MittBot3000 was in full effect last night while talking stiffly to Jay Leno about all kinds of snooze-inducing things like Russia and Health Care, but he was at his very worst in this clip when Jay asked him to play a little game and come up with one word for each possible Vice Presidential candidate. Uh oh. Does not compute. MittBot melting down. Mittbot melting down. Miffffffffff.